Crisscross are the scenes of "Hobbit" and "Lord of the Rings films" films scattered throughout the island nation. 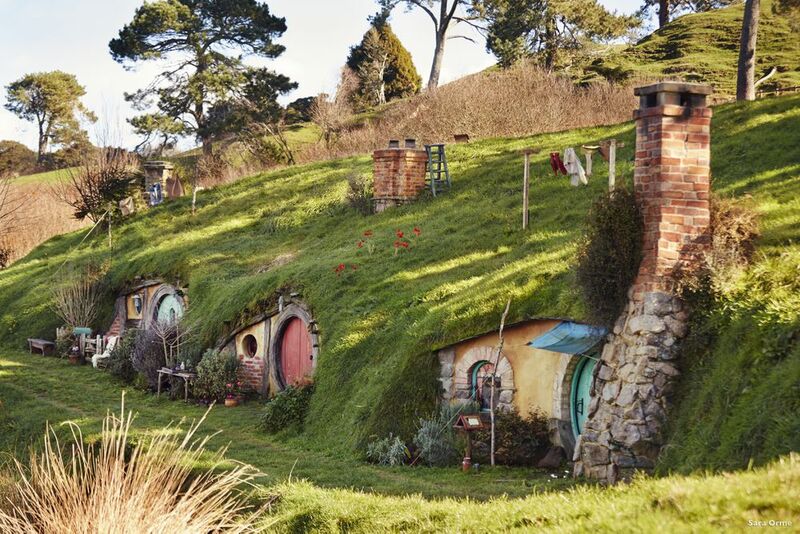 The lush green hills of Matamata City served as the backdrop for Tolkien's hobbit village. 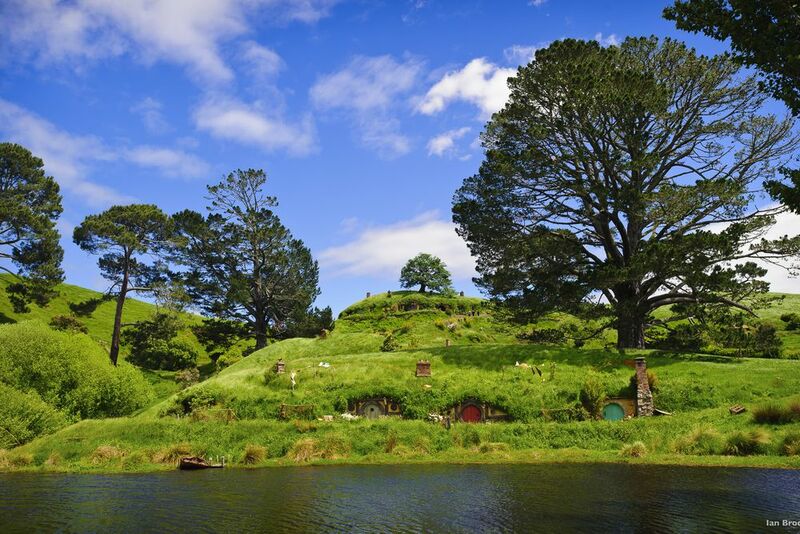 Experience on this trip not only the Shire, but also the other pressuring film scenes. You will begin your journey in Auckland by picking up your rental car. The scenery is now one of the most popular tourist spots on the North Island. We will take you to the Shire. 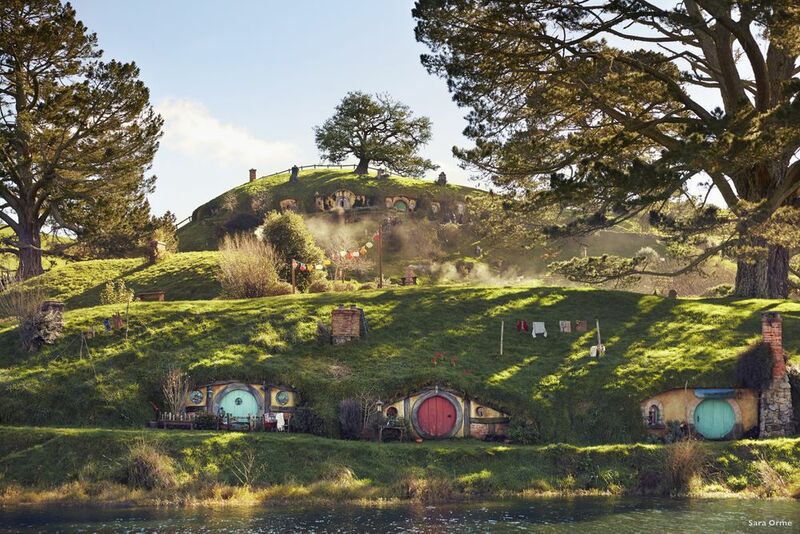 Make unforgettable photos in the home of hobbits. 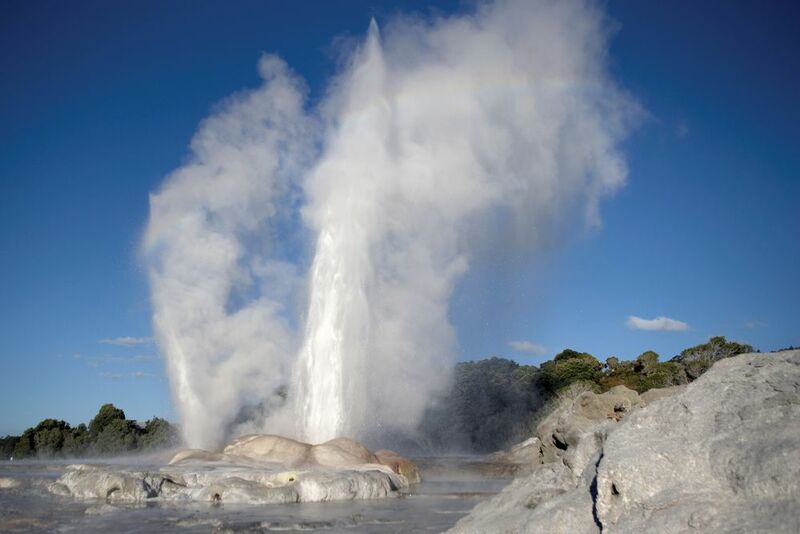 The next stop is Rotorua - the thermal area of New Zealand. Here it is steaming and bubbling everywhere. On the excursion to Lady Knox Geyser (optional) you can experience the outbreak live. Do you recognize it in the distance? It's Mount Doom. Our experience (plus) will take you there. You will also stop in Wellington, the last place on the North Island. This ferry crossing is one of the most beautiful in the world. Inland, the park is lush green. The coasts, on the other hand, boast crystal clear water. The itineraries also stop at the Franz Josef Glacier. You will experience the movie scenery live. Middle-earth in the real world. Let yourself be enchanted by the impressive landscape of New Zealand. 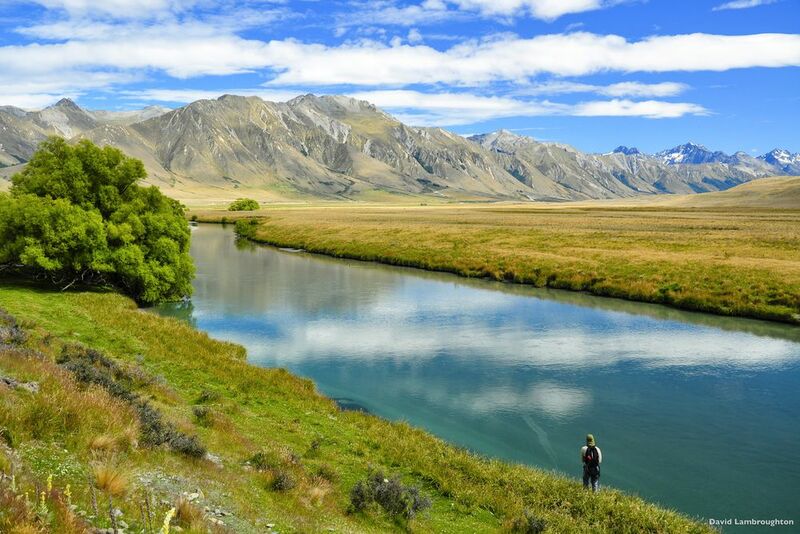 Fall in love with New Zealand and the great scenery. On your way, you will always come back to the scenes of the films. Do you recognize the river again? Yes, here too some scenes were shot. 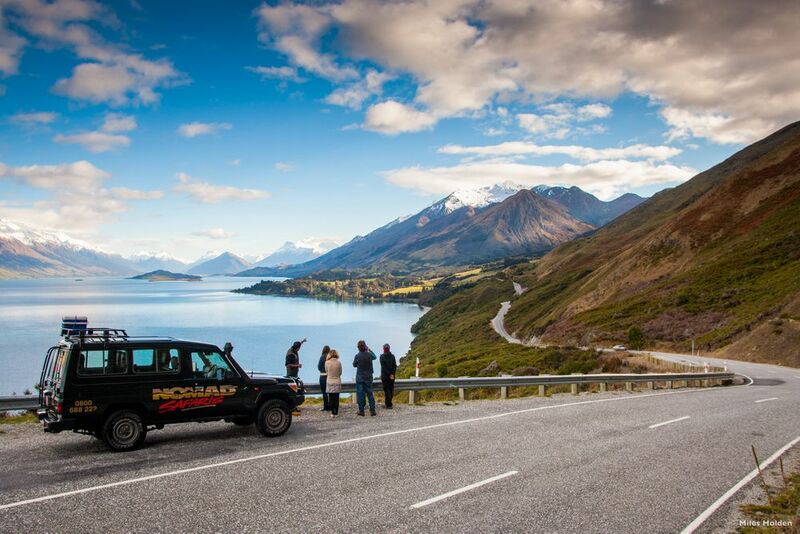 From Queenstown and its enchanting landscapes, head to Christchurch, your last stop on the Lord of the Rings journey. Beautiful coasts, irresistible volcanic craters, icy glaciers and lush rainforests: that's the landscape of New Zealand, and the reason for it being the background to the world-famous Lord of the Rings and Hobbit movies. Are you a fan? Drive with us to "the end of the world", and we will show you the best and most exclusive movie locations on the North and South Islands. Day 1: Arrival in Auckland - Welcome to New Zealand! After breakfast at the hotel, a new adventure awaits: an inspiring hike through the Tongariro National Park. Walk past various vegetation zones and turquoise lakes, some active volcanoes and sprawling crater landscapes - a landscape you only know from movies (optional). But here too, the dreamlike scenery served as the location of the Tolkien trilogy. Most of the scenes for Mordor were shot here, and don't forget to look at Mount Ngauruhoe - it embodied Mount Doom in the series. Once in the Tongariro National Park, let your imagination run free and we guarantee that you will get your money's worth - it is really not difficult to imagine the whole area full of orcs and to visualize the fires of Modor. Your guide is the best contact person for all questions, since he has worked with the Lord of the Rings crew in the filming process for a total of 8 weeks. Please remember to bring good outdoor clothing, sturdy shoes and enough water. You can, of course, book the experience in advance with us. The Abel Tasman National Park was named after its discoverer, Abel Tasman, who entered New Zealand in 1642 as the first European. Not only a magnificent landscape characterizes New Zealand's smallest national park, but also its diverse wildlife. Above all, numerous species of birds such as cormorants, gannets and small blue penguins enrich the beautiful coastal paradise and make the oasis to what it is - a real destination for everyone. But also the Lord of the Rings fans get their money's worth here. For example, take a trip to the mountainous area of Takaka Hill, some 70 km away, and visit the forest area, which is the Chetwald in the trilogy. Here was also the scene shot, where the hobbits run through the forest area and try to hang the black riders. Today you will pack your bags for the very last time: the last day of your journey has begun. You can return your rental car at the Christchurch airport. Go aboard your return flight with all sorts of new impressions, wonderful pictures in the luggage and unforgettable experiences that you were allowed to make in the land of the movies, start your return flight. 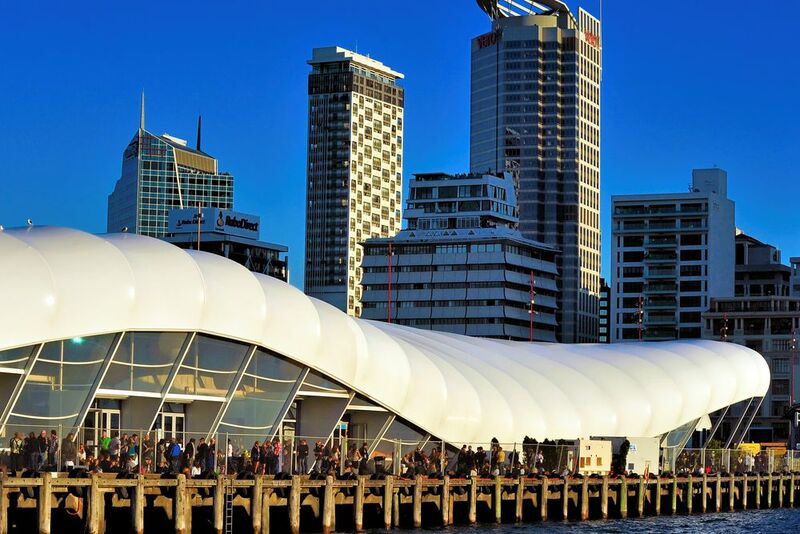 Great Ponsonby Arthotel**** +,Auckland, New Zealand (1 night ). The Great Ponsonby Arthotel is located in the historic, yet very popular district of Auckland. The listed 19th century villa features 11 individually decorated luxury rooms, all with en-suite bathrooms and work desks. Only 2 minutes from the dynamic city center, you will soon reach the city's best galleries and restaurants. Woodlyn Park**, Otorohanga, New Zealand (1 night). Experience a unique time at Woodlyn Park. 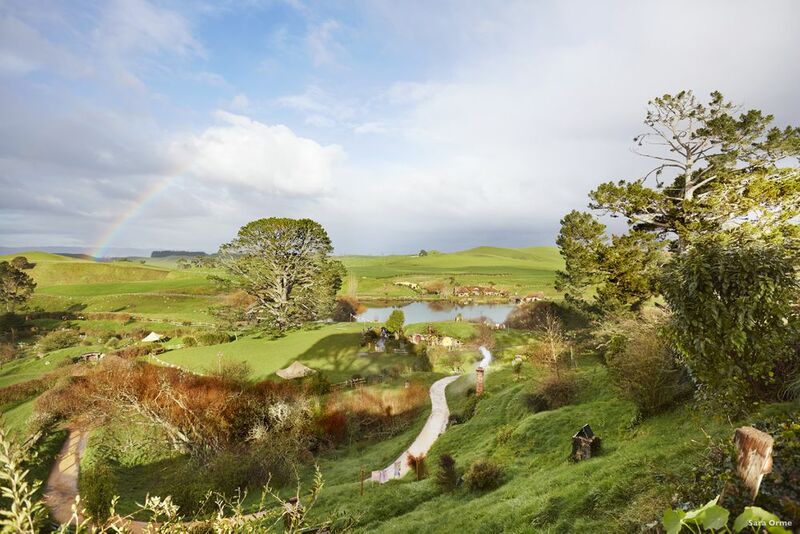 Just 2 minutes from the Waitomo Caves, Woodlyn Park is the perfect base from which to visit the Cave of Fireflies as well as the numerous scenes of the Lord of the Rings trilogy. The slightly different property has 4 different room types: the Train Motel, the Plane Motel, the Boat Motel and the Hobbit Motel. 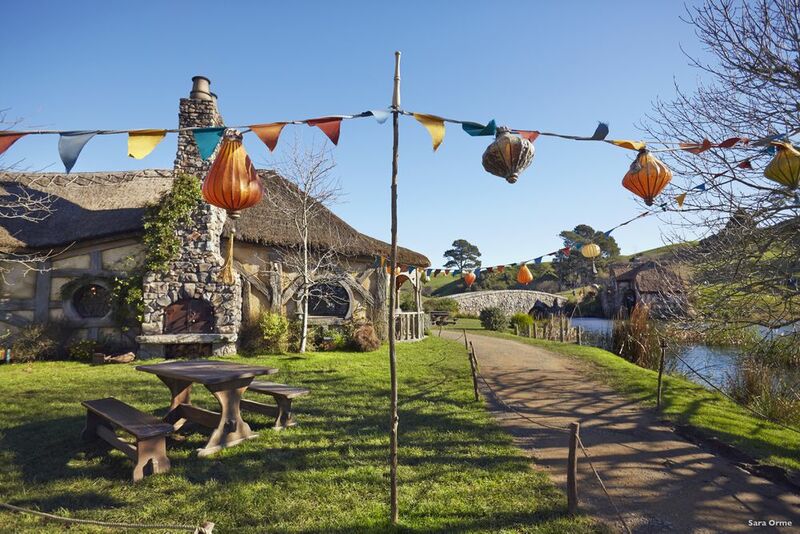 Live your true New Zealand dream at the Hobbit Motel. An accommodation that you simply have to experience. Robertson House**, Rotorua, New Zealand (1 night). Robertson House welcomes you to one of New Zealand's prettiest corners, where gorgeous nature meets unique Maori heritage. Just ten minutes walk from the city center, is the fully refurbished Robertson House. Relax in the cozy atmosphere of the English Garden and relax on the beautiful veranda. Chateau Tongariro****,Whakapapa, New Zealand (2 nights). Chateau Tongariro Hotel is located in the heart of Tongariro National Park, at the foot of Mount Ruapehu. The historic hotel has 106 rooms and is the ideal starting point to explore the diverse landscape. The Lord of the Rings crew stayed here during their shooting times. Experience a wonderful stay that you never want to miss. Museum Hotel Wellington****, Wellington, New Zealand (2 nights). This boutique hotel is located in the heart of the city, opposite Wellington's beautiful harbor and New Zealand's National Museum, Te Papa. The Museum Hotel has 165 rooms, a spacious lobby and a bar where you can relax. The award-winning Hippopotamus restaurant serves French cuisine and has beautiful harbor views. Abel Tasman Ocean View Chalets****, Abel Tasman National Park, New Zealand (3 nights). Situated on a small hill, start the day with a wonderful view of New Zealand's smallest national park. Relax on the golden sands and explore the many hiking trails. All rooms are clean and nicely decorated and have a private bathroom. Punakaiki Resort****, Punakaiki, New Zealand (1 night). Punakaiki Resort is located in Paparoa National Park, just off Punakaiki Beach and the world-famous Pancake Rocks. The beach resort has 63 modern rooms, all with a fridge and a private bathroom. Enjoy a great time in an eco-friendly resort with a wonderful view of the ocean and rainforest. Punakaiki Resort is within easy reach of many activities. Take a kayak trip on the river or join a guided hike through Paparoa National Park. Rainforest Retreat****, Franz Josef, New Zealand (1 night). The Rainforest Retreat is located in the heart of the Franz Josef Glacier Village on New Zealand's wild west coast. Set in 2.5 acres of lush green bushes, this superior property boasts 30 rooms with rainforest views. Just 500 meters away is the starting point of Franz Josef Heli Hike and within a 5-minute drive you can reach the Franz Josef Glacier. Tin Tub Luxury Lodge****, Wanaka, New Zealand (2 nights). At Tin Tub Luxury Lodge you will feel right at home here: here you can relax and enjoy the beautiful views of Lake Wanaka and the surrounding mountains. The five rooms and villas are spacious and have all the luxury amenities. Start the day with a rich breakfast consisting of fresh fruits, homemade bread and muffins, as well as eggs, tea and coffee, before exploring the scenic surroundings. The offer ranges from skiing and hiking to cycling tours to wine tasting. The lodge also has a private tennis court, an outdoor pool and a gym. The sauna invites you to relax after an eventful day. Chalet Queenstown****, Queenstown, New Zealand (4 nights). Just 5 minutes' walk from Queenstown city center, Chalet Queenstown is the boutique hotel. All seven rooms are modern and comfortably furnished with a wonderful view of the lake and the mountain landscape. Start your day with a hearty European-style breakfast and unwind with a refreshing drink in the stylish lounge after an adventurous day. 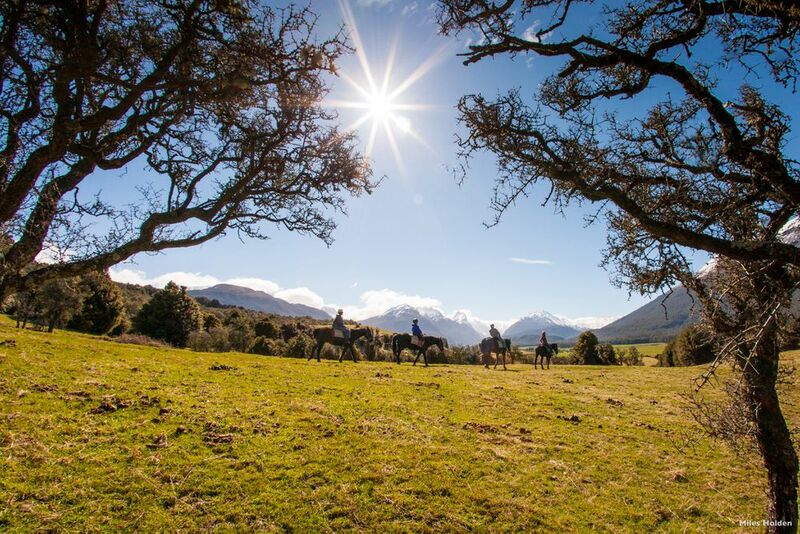 Matuka Lodge*****, Twizel, New Zealand (1 night). 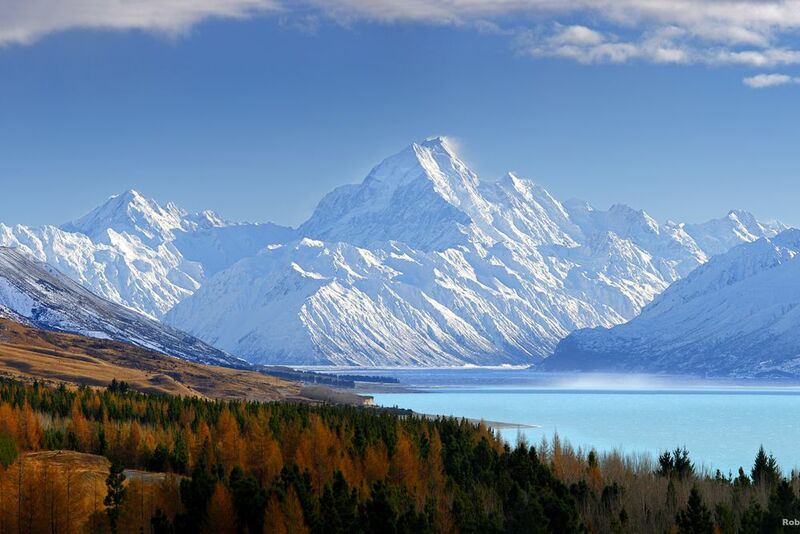 Located at the foot of the Southern Alps, Matuka Lodge boasts beautiful views of Lake Pukaki. Enjoy the beautiful mountain scenery and reach Twizel town center in just 5 minutes. The Matuka Lodge has four stylish rooms, all with a private terrace overlooking the mountains. Orari Bed & Breakfast****, Christchurch, New Zealand (1 night). This luxurious boutique bed and breakfast is set in the heart of the city in a completely renovated historic mansion dating back to 1893. The 10 luxurious and spacious rooms all come with their own bathroom. The Canterbury Museum and the beautiful Botanic Gardens are just a few minutes' walk away. Rental car: gasoline, supplement for young drivers, deposit, other extras (WIFI.) Etc.